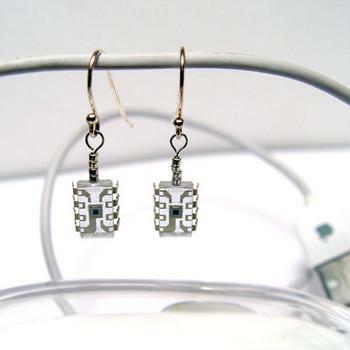 This is one of our best sellers, a cute set of white Taos Cyber Bug earrings. They are TSL230 Light To Frequency Converters used in electronics. There's 8 pins on each one and they are 7/16" long. Tiny silver hex beads make up the rest of the design with a total hight of 5/8". The shepherds hooks are Sterling Silver. 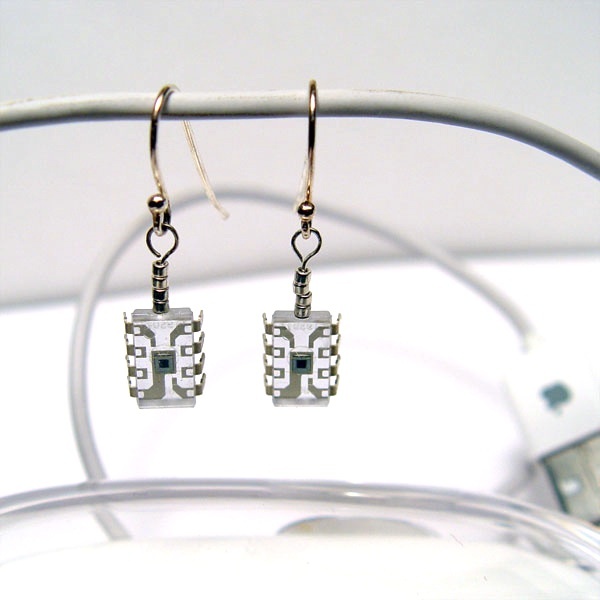 This is a great pair of earrings to show your love of electronics or just to be different.